President Trump’s signature on December 22, 2017 enacted the Tax Cuts and Jobs Act (TCJA) as of January 1, 2018. As you get ready to file your 2018 tax return, the many changes in the tax law may have you scrambling to stay on top of the latest rules. Mileage rates were not exempt from the TCJA changes; they, too, were affected. Read on …! 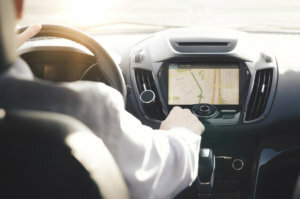 Taxpayers have the option of using the standard mileage rate to calculate their deduction for business use of vehicles versus calculating the actual cost of using the vehicle. This includes driving your personal car to perform your job (commuting to your job doesn’t count). The good news? The standard mileage rate increased to 58 cents per mile in 2019. This is a huge increase from 2018’s rate of 54.5 cents per mile. But the bad news? Before TCJA, if your employer didn’t reimburse your mileage, you could take this deduction on your Form 1040 Schedule A as a miscellaneous deduction subject to the 2% floor limitation. Unfortunately, TCJA has eliminated this section of Schedule A for years from 2018 through 2025 (the period that TCJA is currently in effect). So, what can you do? Try to have your employer reimburse you for your business mileage. Your employer may reimburse you up to the 58 cents per mile standard mileage rate in 2019 and the reimbursement is tax-free to you. There is a very limited exception, though, to TCJA’s disallowance of unreimbursed mileage to members of a reserve component of the U.S. armed forces, state or local government officials paid on a fee basis or certain types of performing artists. These individuals may deduct their mileage on Line 24 of their Form 1040 and use the 58 cents per mile reimbursement rate. More good news, TCJA still allows a Schedule A itemized deduction in 2018 and forward for mileage related to medical care and for charitable purposes. Bad news? You probably won’t itemize in 2018 as the standard deduction was raised to $24,000 for a married couple, $12,000 for a single person… guess that’s good news, right? Unfortunately (bad news), the deduction for mileage for the moving expense deduction is currently eliminated by TCJA (2018 through 2025) for all taxpayers unless they are members of the armed forces on active duty who move due to a military order. If you have any questions about mileage rates or the many other tax changes caused by TCJA, please contact your Henry+Horne CPA.